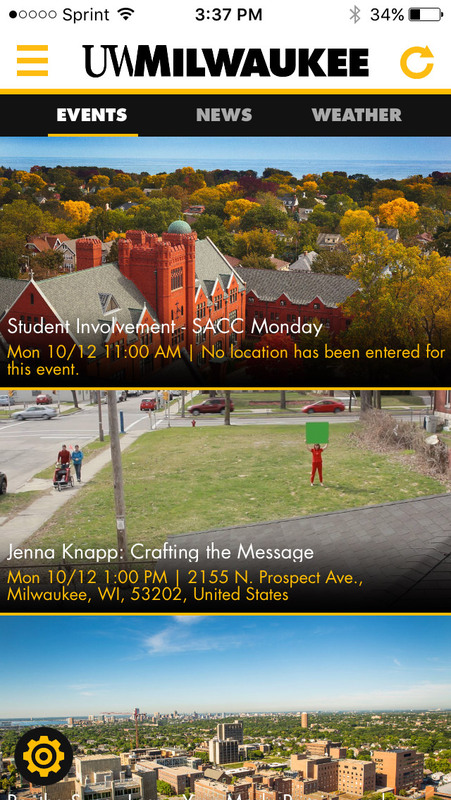 UWM Mobile is the university's official iPhone and Android app. Its goal is to make accessing important resources like events, news, local weather, campus maps, contact information, shuttle tracking and more available wherever you are. Keeping students informed about on campus events enriches the student experience at UWM. Our improved news & events keep students informed, engaged and prepared. This feature also allows student organizations, departments and colleges to notify students of their events, right on their phone. 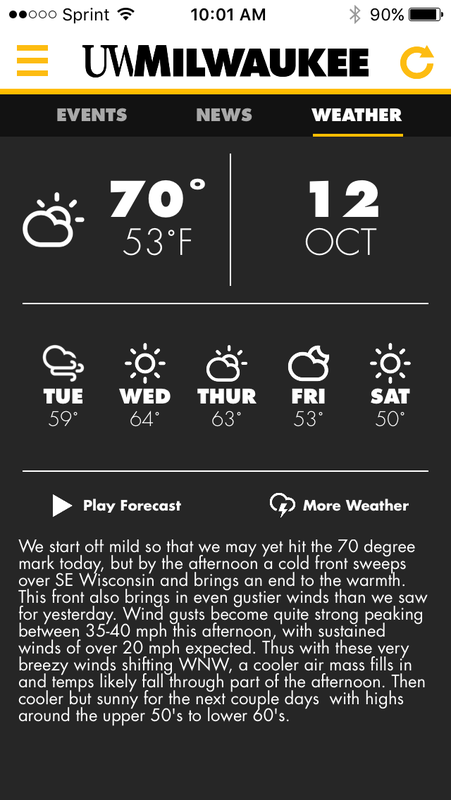 Powered by Innovative Weather, UWM Mobile's weather feature offers a live local weather forecast, so you can always be prepared. 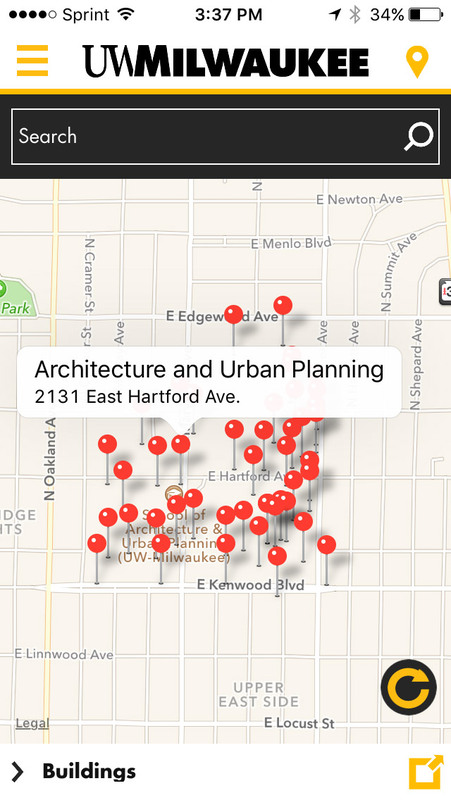 Campus maps displays university buildings and other amenities across campus. Finding your class has never been easier. 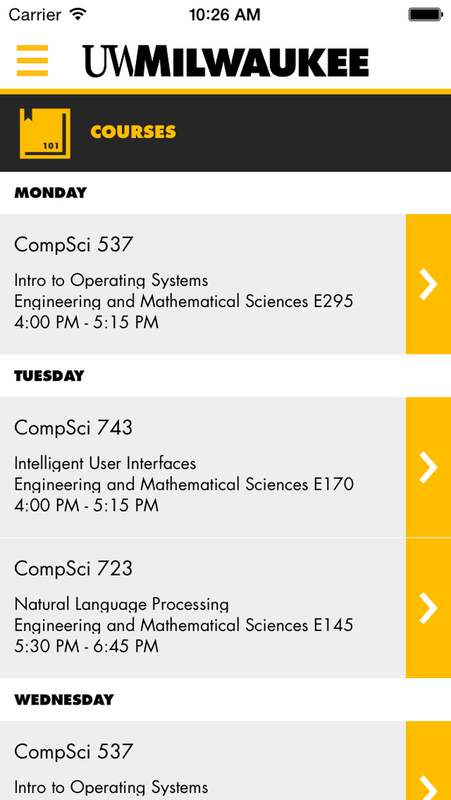 Students & Faculty can login to see their course schedule, as well as plot course locations on a map. 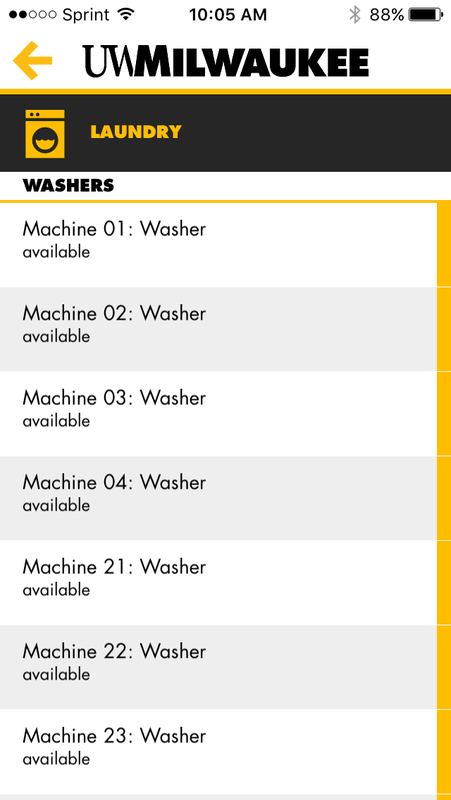 Students living on campus are able to monitor the availability of campus computer labs and laundry machines.